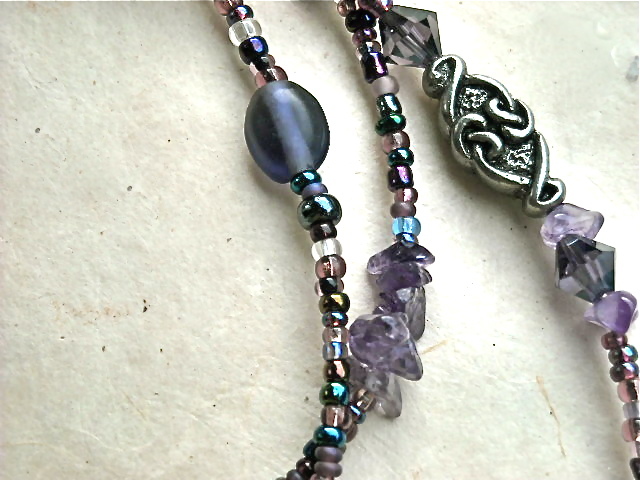 I am sometimes asked by other jewelers why I use gemstone chips, rather than faceted gemstone beads, when I create my waistbeads. The question is usually presented in a manner that suggests that gemstone chips, the irregular-shaped by-products created during the manufacturing process of producing regular shapes, is somehow less worthy. The gemstone chip has so many advantages it is astonishing to me that more jewelers do not use them. 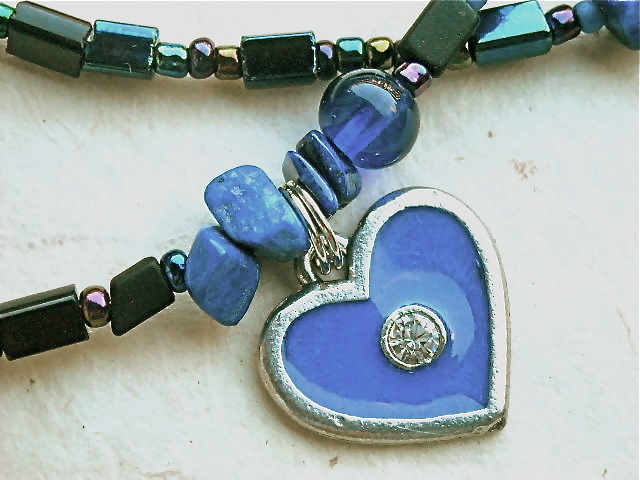 Gemstone chips have a raw, natural quality that appeals to me much more than regular, uniform beads. The chips often have slight imperfections and their small odd shapes are more appealing strung in clusters. However, to me they are beautiful- their colors can be blended and manipulated like an artist’s palette; they are fabulously economical; and most importantly, despite their size and shape, capture all of the metaphysical energy of the stone. To look down on a gemstone chip is like disliking a rose petal while loving a bouquet. I recently scored a pretty pink opal pendant at a bead show. It didn’t cost me very much, but the color is stunning. It is deep pink with veins and smudges of black and smoky gray. I decided to make a necklace with it and came home to my studio to begin work immediately. I pulled out my rose quartz chips, and very carefully selected those closest in color to the pink of my opal. Then I chose the chips that are a shade darker pink, and others that are a shade lighter. After considering which stones would best compliment the romantic energy of the rose quartz and inner beauty boost generated by opal, I decided on the grounding stones of hematite and blackstone. These stones are gray and black respectively. 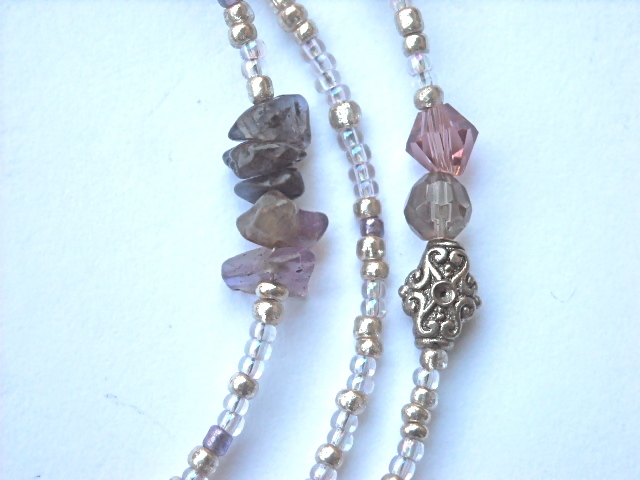 The rose quartz chips are crystalline, while hematite and blackstone are both smooth. The contrast in textures, the matching colors and the feel-good energy from the stones resulted in a great necklace that sold immediately after I took it off my bead board! That’s not to say the same design – on waistbeads or a necklace – could not be done with conventional beads. It’s just that the cost of so many different types of faceted beads may be prohibitive to some of my customers and so would not allow me the flexibility of finding stones with complimentary energy and color. On waistbeads this is very important because I believe the positive energy from the stones mingles with the aura of the wearer. For me, energy, color and symbols are just as important as beauty and design. Some of my customers call Wrap and Soul waistbeads medicine jewelry. I like that.